One of the things social media and my online activities have gained me over the years is a number of friends and contacts in Australia. One of these days I'll get to visit there. Once I get there, I hope to be able to spend quite a bit of time there before returning home. Here are a few different places I need to be sure and visit once I arrive. The ancient Italian poet Dante once said, â€œNature is the art of Godâ€. Australia seems to have been the canvas for much of Godâ€™s work as there are countless places of unimaginable beauty on the continent. One of the many joys of taking a road trip in Australia is the ability to easily get â€˜off the beaten trackâ€™ and enjoy nature at its best solitude, mosquitoes, critters, dust, heat and all. Best of all, the countryâ€™s wilderness areas are so incredibly diverse that worshippers of nature can lap up a range of different adventures all in one continent albeit a ridiculously large one. One of the easiest ways to get a taste of Australian landscapes is by touring some of the many national parks. One of the most enduring images people have of Australia is of waterfalls crashing down into pristine emerald coloured waters, wetlands teeming with wildlife, deep gorges, ancient Aboriginal rock art and towering sandstone cliffs. At the world-famous Kakadu National Park, Australiaâ€™s largest national park, youâ€™ll find all these dramatic landscapes and more. The landscape goes through an incredible transformation during the wet and dry seasons and is only accessible during certain months, so plan ahead. The parkâ€™s biodiversity includes a mindboggling number of plants, freshwater fish, birds and insects (and of course, the odd crocodile or two). You simply canâ€™t go wrong with a spot of wilderness where ancient rainforested mountains meet the sea. Lush and altogether magical, Daintree is about 100 kilometres from Cairns. Visitors tend to head towards Cape Tribulation and Mossman Gorge, both accessible and scenic areas which demonstrate exactly why the region has been listed as a Wet Tropics World Heritage area. You can find out more about the areaâ€™s flora and fauna at the Daintree Discovery Centre. Not all travellers make it as far south as Tasmania. The ones that donâ€™t miss out on an iconic wilderness experience of a lifetime: Cradle Mountain. Snuggled within the Cradle Mountain-Lake St Clair National park, this gorgeous destination is world famous for its sometimes-strenuous Overland Track. The trail snakes through enchanting old rainforests and beautiful alpine plains, and past icy streams and mountains before arriving at Lake St Clair where there are panoramic views to soak up. If youâ€™d like a touch of luxury during your trip to this world heritage-listed area, join a boutique guiding tour where youâ€™ll be treated like a king or queen: gourmet fare and a comfortable bed at the end of a hard dayâ€™s walk. The long drive from Melbourne to this unspoilt coastal national park means itâ€™s less crowded and more spectacular for you. The park covers a huge area and has a stunning array of landscapes from luscious rainforests and granite peaks to pristine beaches and rocky headlands. Croajingolongâ€™s habitats and ecosystems are so precious that theyâ€™ve been nominated as a World Biosphere Area by the international body UNESCO. 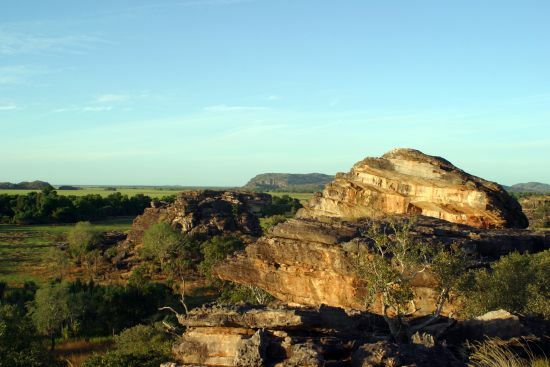 Popular sites within the park include the Point Hicks lighthouse, unusual sand dunes at Thurra River and Mount Everard. Apart from hiking, thereâ€™s plenty else to do. Outdoorsy types can surf, fish, swim, dive, snorkel, sea kayak, mountain bike or go four-wheel driving. One of Sydneyâ€™s most popular national parks, Ku-Ring-Gai Chase is an ideal destination. Although less than 25 kilometres from the city, the park feels like a real nature getaway. Itâ€™s jam packed with walking trails featuring a host of viewing goodies: rocky cliffs, mangroves, heaths, forests, bay views, Aboriginal rock art sites and beaches. Pack a picnic and discover the parkâ€™s many highlights. This post is by Jessica Spencer, she is a niche blogger and currently working for Car Rental Sydney.